People dressed in blackface are seen in the 1968 edition of The Bomb, Virginia Military Institute's yearbook. In a statement he released Thursday, Norment did not take responsibility for any of the racist content. "As one of seven working on a 359-page yearbook, I cannot endorse or associate myself with every photo, entry, or word on each page," Norment said. "However, I am not in any of the photos referenced on pages 82 or 122, nor did I take any of the photos in question." Photos on pages 82 and 122 each depict a person in blackface. Norment is the first Virginia Republican to be touched by an ever widening scandal about past displays of racism that has engulfed the state's top Democrats. A conservative blog revealed last Friday that Virginia Gov. Ralph Northam's page in a 1984 medical school yearbook depicted individuals in blackface and Ku Klux Klan garb. After Northam initially admitted to appearing in the image, he retracted that admission, adding that he had indeed darkened his face for a separate dance contest around the same time. Just days later, in a surprise statement, Attorney General Mark Herring disclosed that he, too, had worn blackface decades earlier. Meanwhile, the state's lieutenant governor, Justin Fairfax, is facing an allegation of sexual assault, which he has repeatedly denied. Northam has faced widespread calls for his resignation — including from the Virginia Legislative Black Caucus, which reiterated its initial condemnation of his actions in a statement released Thursday. But the group of black state lawmakers remained more cautious in its comments concerning Fairfax and Herring. The VLBC said that while it appreciates Herring's "candor" in coming forward on his own, the group awaits "further action on his part to reassure the citizens of the Commonwealth of his fitness for leadership." As for Fairfax, the group called for a full investigation of the allegations but didn't call for his ouster. "We support, and we expect, justice to be meted out fairly for all involved in this situation," the group said, "and will continue to monitor it closely and act accordingly." If all three Democrats were to lose their positions, the next in line to assume the governorship would be Virginia House Speaker Kirk Cox, a Republican. 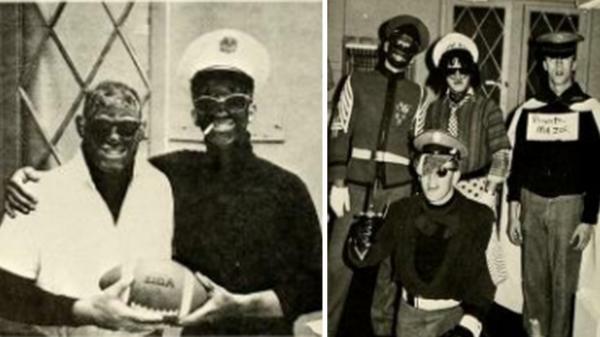 Norment condemned blackface but dismissed the current focus on his yearbook as political. "With 114 editions of The Bomb available online dating back to 1885, I am not surprised that those wanting to engulf Republican leaders in the current situations involving the governor, lt. governor, and attorney general would highlight the yearbook from my graduation a half century ago," he said.